Towcester Racing Course and Silverstone Motor Racing Circuit (home of the British F1 Grand Prix) and other events are within easy reach. Woburn Abbey and Wild Animal Park are just a short distance away. There is a wide range of sporting venues in and around Milton Keynes. 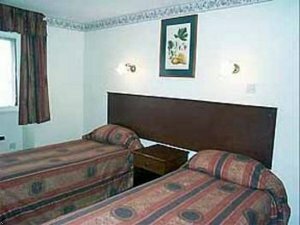 All rooms have television with satellite channels, hospitality tray, desk and PC modem. Family rooms are available, as well as specially adapted rooms for disabled guests. Restaurant and lounge bar on the premises and a restaurant adjacent to the hotel. Ample FREE parking on site. Local Phone Charge: 0.20 GBP per unit. Required extra bedding is free in rooms shared by one or two Children 14 or under and two parents/grandparents. From the North or South: M1 Junction 15. Take A508 direction Buckingham/Milton Keynes. At junction with A5, continue on A422 towards Buckingham. Hotel on the right on the outskirts of Deanshanger. From Oxford/M40: M40 Junction 9. Take A41 towards Aylesbury. On outskirts of Bicester, take A421 towards Buckingham/Northampton. At Buckingham, take A422 towards Northampton/Milton Keynes. Hotel on the left on the outskirts of Deanshanger. From M11/Cambridge: Junction 11/A10 towards Baldock/Luton to M1 Junction 10 towards the north. Continue to Junction 15 as above.